We have a momentous event coming up in my household: my son will turn 16 at the end of the month and will — if the DMV gods are agreeable — get his drivers license. This has sparked a lot of debates in my family about what driving will look like over the next 10-20 years. In short, my son HATES the idea of driverless cars. Imagine – the club he’s been pining to join – drivers – is now threatened with extinction. Perhaps with wishful thinking, he has come up with a lot of theories about why self-driving cars will never take off. I disagree with him, though I may be indulging in a bit of wishful thinking myself. I find few things more stressful than sitting in the passenger seat with my son at the wheel. His behind-the-wheel instructor says he’s a good driver (I wish she wouldn’t tell him that…), but I have never been quite so focused on everything that could possibly go wrong, and I would rather trust a computer to make the right decision if something does. Also, I’ve spent enough time in Bay Area traffic jams – where one distracted driver who brakes a little too hard can slow down a whole lane of traffic – to relish the idea of smoothly flowing computer-driven cars. Research seems to back me up — simulations suggest that automated vehicles will likely reduce fuel consumption, and part of that reduction will come from fewer slowdowns due to accidents. Here’s my son’s theory, which draws on network economics even if he doesn’t use that phrase: as long as there are enough people like him on the road, who actually want to be behind the wheel, driverless cars won’t do much to improve congestion. 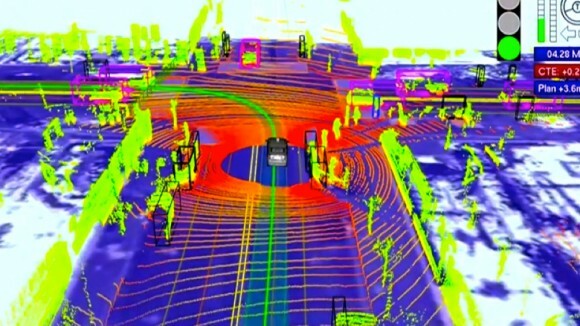 In the extreme, a mixture of robot-driven and person-driven cars could be worse for congestion than all person-driven. Imagine if Silicon Valley technocrats could send for their favorite Los Angeles sushi and have it delivered by a driverless, and passenger-less, car, thereby adding cars that wouldn’t have been there. Then put those vehicles on the road with the remaining 16-year-old boy drivers, and others with an inner 16-year-old boy, some of whom get a kick out of messing with the automated cars’ sensors to make them brake quickly. His theory was borne out by the story of the Google car getting stuck at the four-way stop as it waited for other cars to come to a complete stop. But, that doesn’t seem like an unsolvable problem to me – someone just needs to update the algorithm and stress test it versus thrill-seeking drivers. My son also points out that his online driver’s ed course warned that no one leaves the house thinking they will get in a car accident. So, he thinks people won’t be drawn to driverless cars to protect their own safety. Consistent with this, surveys suggest that most of us live in a Lake Wobegon world and think we’re better than the average driver. This could mean that we all want other people – particularly the drunks, texters and overly aggressive lane-changers – to be in driverless cars, but want control over our own on-road destiny. Given that we buy cars for ourselves and not others, this doesn’t lead to many autonomous car sales. I try to explain to my son (without using the phrases “opportunity cost” or “consumer surplus”…) that driverless cars will both give us more time and make driving a lot cheaper, so teenagers will eventually find another way to mark the transition to adulthood. On the “more time” point, think of all the things we can do instead of sitting behind the wheel of the car. With more of us able to be productive remotely, time in the car could be quite valuable. In terms of the cost of driving, it’s hugely inefficient to have so many of us own a $20,000-plus piece of capital that we use, on average, 46 minutes per day. The capital depreciates even when we don’t use it because technological change makes newer cars more desirable. If you could order up an autonomous car only when you needed it, the cost of the capital would be spread over many more people and rides, driving down the cost per ride. So, I explain to my son, you’ll have to really, really like driving to pass up the much cheaper alternative of renting one from the next incarnation of Uber or Lyft. 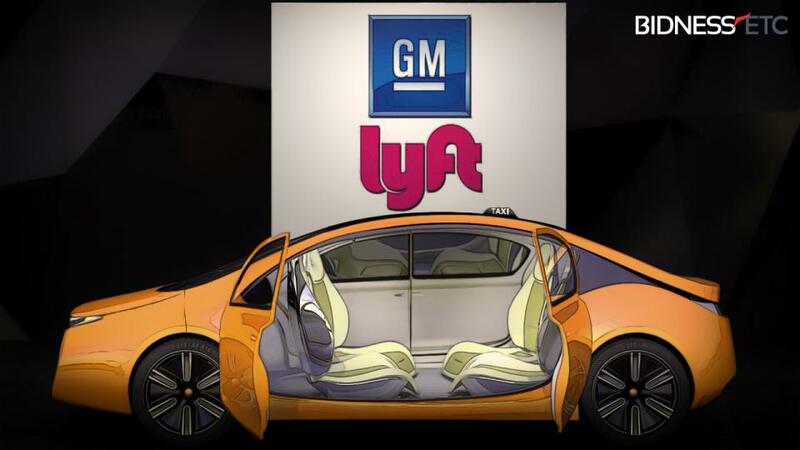 In fact, GM and Lyft recently announced that they will begin testing self-driving taxis on actual roads within a year. Cars themselves are also likely to get cheaper if they’re automated, leaving aside the cost of the automation itself. In economics, cars are the canonical empirical example of a differentiated product. Remember back to basic microeconomics, where the perfectly competitive market model works for a purely homogeneous good and market forces drive prices to marginal costs? The converse of this is that the more differentiated products are, the higher the markups above marginal cost are likely to be (which roughly means higher company profits). In fact, economists have written dozens of papers trying to model consumer demand for cars, accounting for our demand for brands, horsepower, leather seats, etc. My guess is that with driverless cars, consumer demand for differentiation will be much lower. Who even knows what the brand of the last bus you rode was? And, as long as my Uber driver’s car is clean and gets me where I’m going, I don’t really care what he’s driving – no self-identity there. In a rejoinder that warms his economist mother’s heart – the boy understands incentives! – my son points out that this is another reason why driverless cars are doomed. The auto companies will figure out that they spell lower profits for them, and will use their (considerable) economic and political power to derail them. We will see. In a battle between Google and Ford – Silicon Valley and Detroit – I might put my money on Google. At least I hope I’m right…. What do you think? 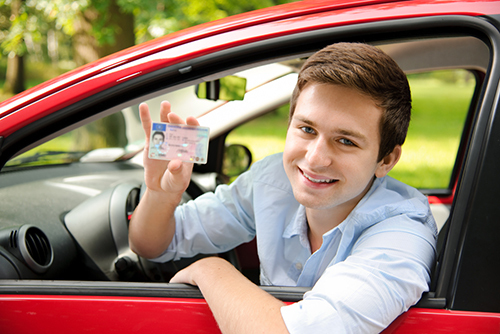 For those of you with 6-year-olds, will the drivers test be the same rite of passage in another 10 years? Sorry to disappoint you all but the future belongs to the autonomous vehicles. Companies will always prefer such vehicle rather than paying a living human. What man will take responsibility for making robots that will go on the road and, with a calculation error, lose lives? We are sure that the robot manufacturer will calculate everything correctly? People should just exit the suburbs and its car culture and instead buy a $1+ million home in SF-Berkeley! At least that’s the game “solution” that extremist environmentalists play by invoking every legal trick in the book to deny new building permits in the Bay Area whilst excoriating people who have a family and for affordability must commute from far suburbs. A self-driving car would make sense for sleep-deprived commuters who have to get up several hours before sunrise to commute from their semi-affordable San Joaquin Valley homes to their Bay Area jobs. The original suburbs and Levittowns that satellited around English and Atlantic seaboard metropolitan areas accomplished several generations of real-estate developer corruption and crony legislation without any gas-guzzling at all — they used light rail, and the rail companies were thoughtful enough to build amusement parks at the ends of their routes as well, to drive customer traffic on the weekends. So let’s not throw up our hands and lament the inevitability of asphalt and SUVs. Exploitation can be accomplished at a much lower level of stealing from the future, Dave! Building mass transit within the Bay Area takes almost forever, for example the BART extension to San Jose that is only now crossing 101 was initially approved in 2000. The high-speed rail that would bring workers from the San Joaquin valley to SF Bay Area jobs gives every indication of becoming a long-term slog. Avi, it is a counterproductive strategy to ad hominem attack parents who work in the SF Bay Area and who want an affordable home for their family which happens to exist only in distant suburbs because extreme environmentalists have constrained Bay Area housing supply as much as they can by blocking any and all building permits. Avi, it is repugnant to try to shame parents who want an affordable home now by conjuring up mostly theoretical mass-transit options from distant suburbs which are years away. Cars were prominent in Levittown — per historical photos — just as they are in suburbs here. The key difference is that Levittown’s wonderful mass transit mostly lead directly to one central location NYC which is very different than the Bay Area in which jobs are diffused over a huge geographical area with a much lower population density (and again, the extreme environmentalists won’t allow greater population density here without a big long costly battle). The correct battle is not against struggling families. The correct battle is against radical environmentalists. Prof. Wolfram seems to believe that her viewpoints on car culture follow from her being an economist and a mom, but it has always seemed to me that her being a suburban Californian has long eclipsed the rest of her thinking. An economist wouldn’t reduce, and largely dismiss, the horror of car culture to issues of congestion and overpricing, and a mom wouldn’t merely focus on her son’s behavior in traffic while ignoring the devastating effects of personal passenger vehicles on the world our descendants will have to live in. Cars are the worst possible solution to moving people around, and making them smarter or more automated is the ultimate example of putting lipstick on a pig. The fallout, the unintended consequences, of urban planning for cars rather than for people changes the most fundamental aspects of what it means to be a person in community, as well as moving Nature’s needle faster than the species we care about would like. Even without technological improvements, it’s obvious to anyone with an economical tendency looking at our streets that we could halve the number of private passenger cars with no reduction in quality of life — that in fact our quality of life would rise with a reduction in cars. It’s starting to seem to me that one of those unintended consequences of car culture is that, as the centers of academic activity shift westward towards newer cities and institutions, the people doing that academic work come out of a milieu in which cars are more central and taken for granted than in the older, more eastern, locations where civilization thrived before car culture’s coup d’etat. How did people manage to get their children to school and buy their coffee and lottery tickets without having their own shiny, leathery SUV? I don’t want to be completely negative — thanks, Prof., for reminding us that redistributing the fruits of our labor to the car-loan industry owners and the boards of car manufacturers is a pretty stupid way to spend one’s money. What new innovations will be available in next year’s models to distract us from that?